The story of Mighty Morphin Power Rangers by BOOM! Studios continues in Issue 23 as the team learns just how far the original 1969 team is willing to go to defeat Rita Repulsa. Check out all the beautiful covers to this issue by clicking the title of the story. 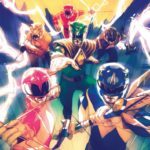 Mighty Morphin Power Rangers Issue 23 releases in January 2018. Credit to CBR.com for the first look. 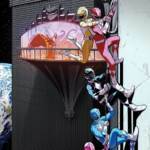 The covers for Go Go Power Rangers Issue 6 have been released via CBR.com. The story continues as Rita Repulsa‘s attempts to manipulate the Power Rangers against Zordon continues – and begins to work! Go Go Power Rangers Issue 6 releases in January 2018. Discovered online and revealed through @PowerRangersTalk on Twitter, we have our first look at the upcoming 5″ Rita Repula figure from the upcoming Power Rangers Movie. 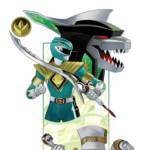 The evil empress is sporting her green armor and the Green Power Coin on her golden staff. What do you think? This is probably the best Rita Repulsa figure we’ve ever had – will you pick one up? Sound off in our discussion thread linked in the story. 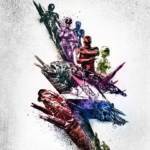 As we get closer and closer to 2017, more and more information starts to come out regarding the new Power Rangers Movie. 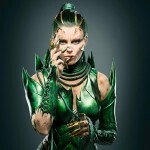 Today, various entertainment sites were given a first-look at Elizabeth Banks in her costume for Rita Repulsa. The first main take away from the getup is the amount of green … you think she has a thing for the color green? This could be some fun foreshadowing for a sequel if the movie does well. If you remember your Mighty Morphin Power Rangers lore, Rita Repulsa eventually creates her own Ranger – the evil Green Ranger! Join in the discussion and share your thoughts on the new look for the Empress of Evil!